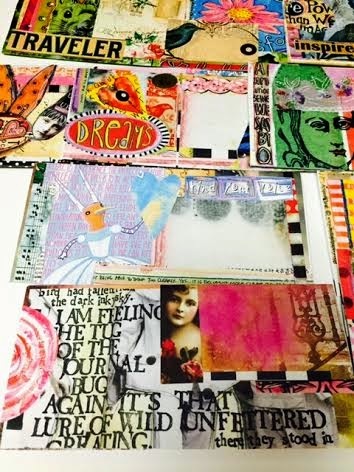 If a piece of paper has images, color, paint or print on it, it is not likely that I will throw it out, no matter what size it is. I love paper scraps. 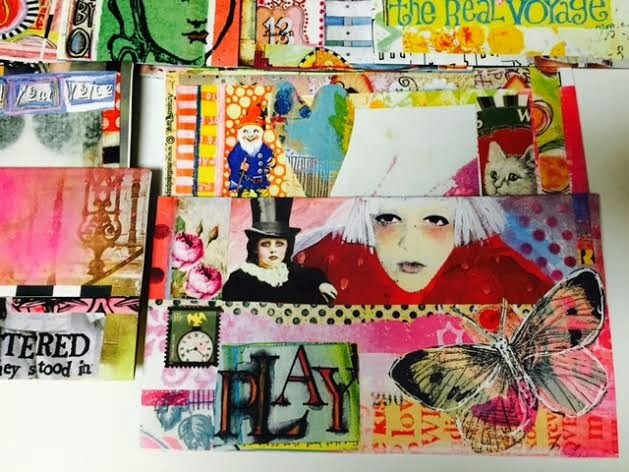 I love a good stash of paper supplies which will include images I have collected, pictures I have cut from magazines including words, scraps of paper I have saved when cleaning up, stamps from letters, anything paper item of interest that catches my eye, I cut it, I paint it, I always save it. 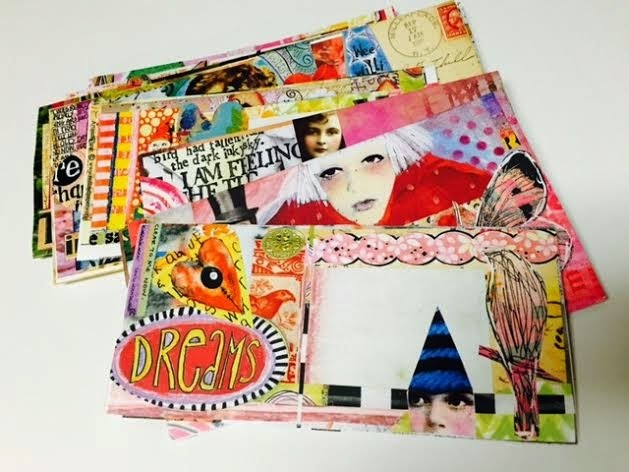 I love to use these paper scraps for decorating the packages that I mail to customers who purchase from me. Decorating my packages is just as fun to me as the art I make inside the package. 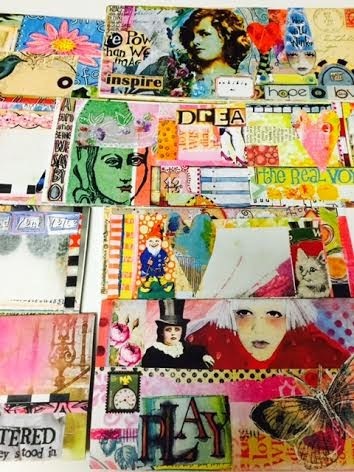 Today I was inspired to make these handmade envelopes from magazines. The inside center has a place to write your message or letter. 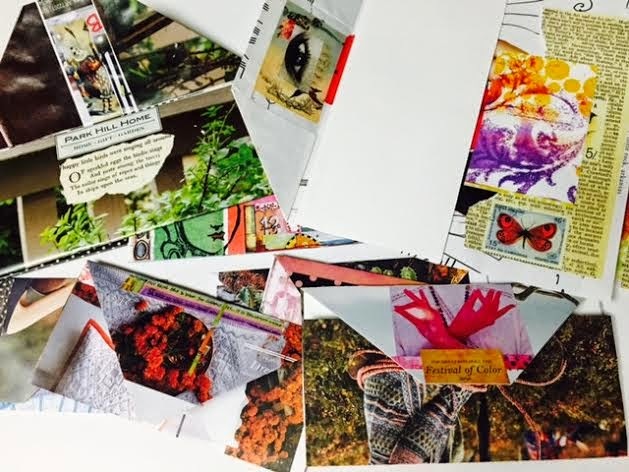 They can be used like cards or addressed as an envelope and mailed like mail art. You would be surprised what you can do with small bits of paper and images. I love your visits, leave me a comment so I will know you were here! Thank You Sweet friend! They give me a happy heart to make them! love these! they look amazing. there is something wonderful about happy mail, isn't there! 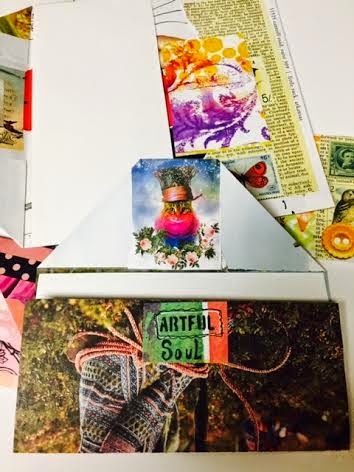 Yes, there is something wonderful about receiving happy mail and making it too! Thank you for leaving a comment, ... also Happy Mail! Oh I love these Kim! So colorful, creative and fun! Love these and when I do this, friends smile. It's like have a florist come to your door with a floral surprise. Thank you for your kind comment Anne and yes you are right, I couldn't have said it better, just like a floral bouquet from a friend!